The Asia chemical industry is led by the China Petroleum and Chemical Industry Federation, or CPCIF. The CPCIF is a social intermediate organization with a nationwide presence in China that manages the services produced by the chemical industry. It runs independently, as dictated by its charter, and is designed to be a service-orientated industry that looks to strengthen cooperation with its global counterparts. Much of the Asia chemical industry is still young. Many locations are operated by small- to medium-sized businesses, which makes it difficult for the industry to compete on a larger scale. There is also a dependence in purchasing the raw materials instead of having them be obtained within the industry itself, which creates domestic similarities that are difficult for consumers. 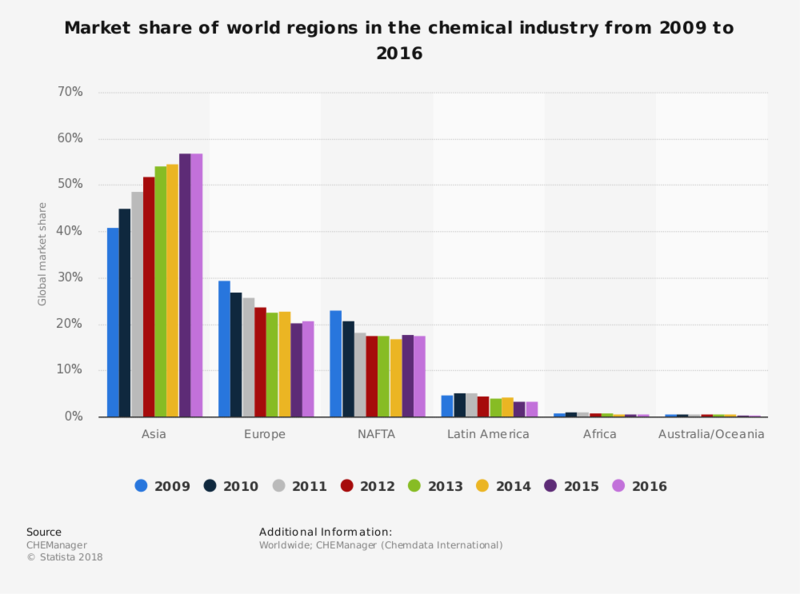 The Asia chemical industry has seen high levels of growth over the past decade. As the Chinese economy begins to slow down, the amount of growth experienced by the industry is expected to slow as well. The commodity segment, which is the largest for the industry, is expected to grow at a CAGR of 5.9% over the next 5-year period, ending in 2023. The agrochemicals segment will continue to see stronger growth than other segments, with a forecast 8.6% CAGR. What makes life difficult for this industry is that its fixed costs are quite high. 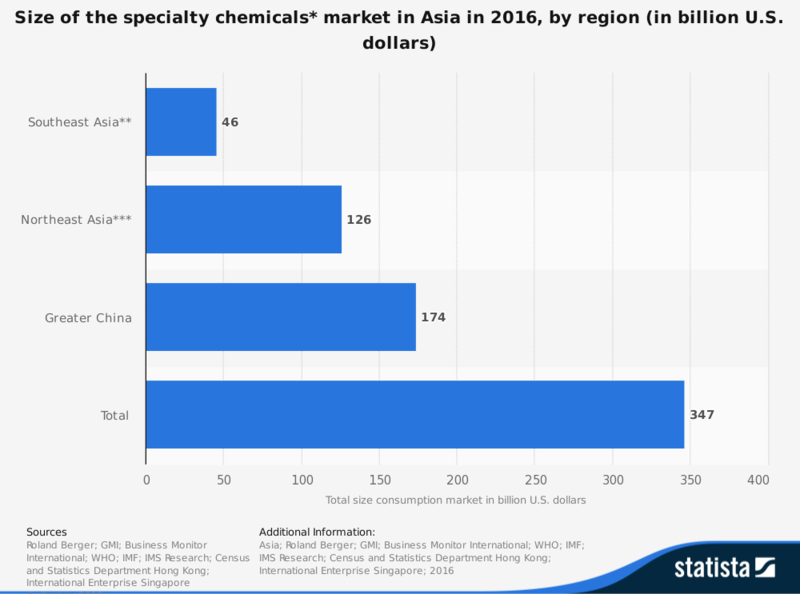 Although it has the highest levels of installed capacity in the world, the Asia chemical industry does not have the expertise or efficiencies that benefit other markets. There are only a handful of large, multi-national corporations currently operating within the Asian sector. That means pricing does not occur at the same levels of scale. Consumers in Asia also find that differentiation between commodity chemicals is minimal at best, which makes it more common to switch brands over time domestically than in other markets. There are still plenty of opportunities to be found in this market. As it grows and establishes its own identity, expect stronger levels of growth to begin appearing in the next 10-20 years.